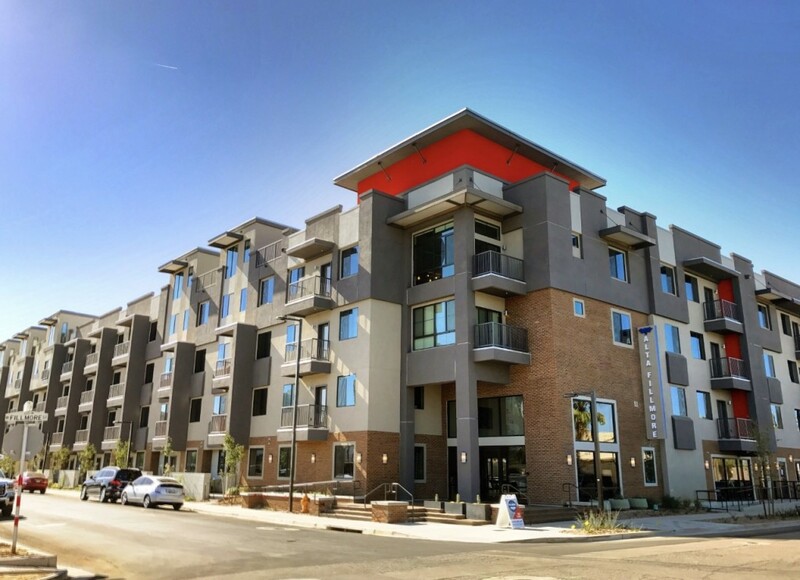 Downtown Living: Take a Sneak Peek Inside Alta Fillmore - Downtown Phoenix Inc. Downtown Phoenix dwellers have a new option to choose from when it comes to luxury residential housing. After breaking ground in September 2015, Alta Fillmore opened phase one of its two-phase development on November 7. 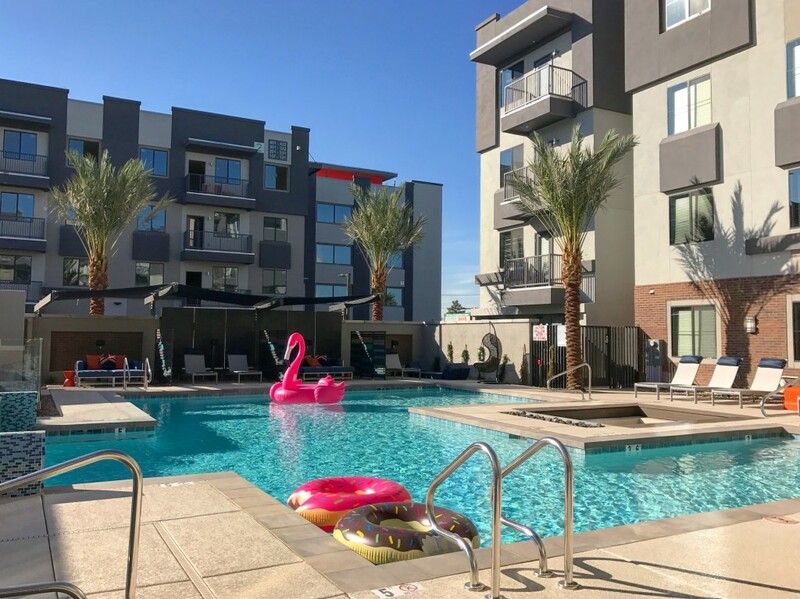 Located at 601 W. Fillmore Street, just steps away from popular restaurants like Cibo and The Vig, the 230-unit development offers one, two, and three-bedroom options with prices starting at $1,242. Before you tour through the space yourself, take a sneak peek inside to learn what the community has to offer. You won’t find awkward angled corners or small unusable spaces at Alta Fillmore. 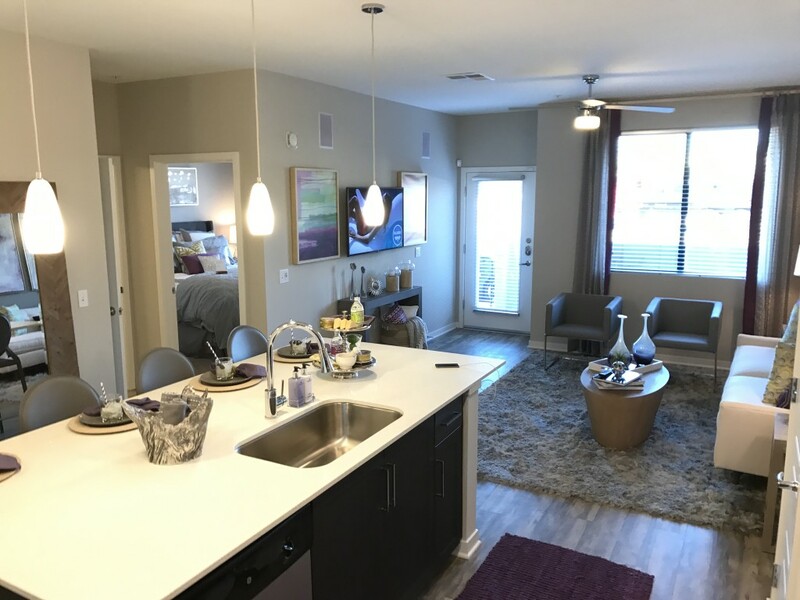 The one, two, and three-bedroom units — ranging from 686 to 1,525 square feet — have functional floor plans that maximize livable space. Spacious bedrooms, sizable walk-in closets, over-sized quartz kitchen islands and compact private patios are featured in all units. Plus, new tenants get a free Tuft & Needle mattress. There’s no shortage of shared community space (or TV screens) at Alta Fillmore. 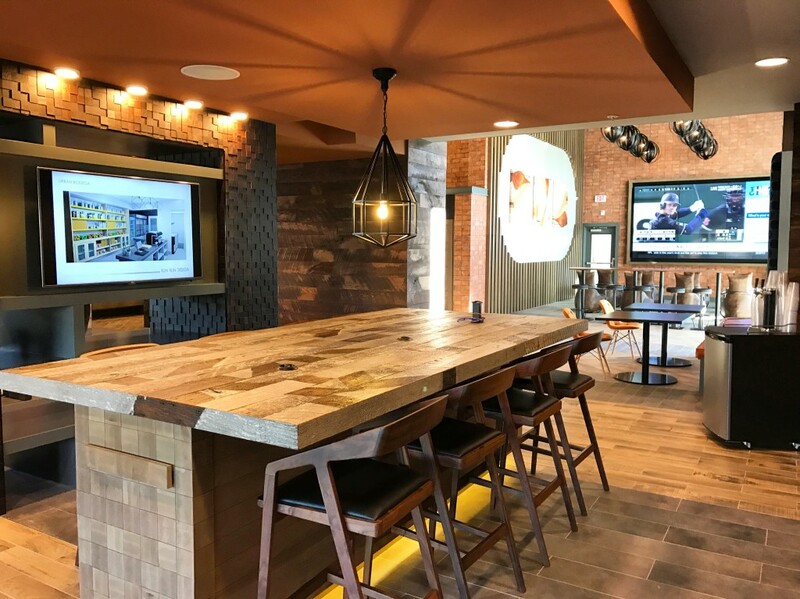 The ground level features numerous community areas that are available to residents 24/7, including a club room with 13-foot TV screen, demonstration kitchen, computer hub with iMac desktop computers and printer, lounge areas and more. Ample USB ports and charging stations are also located throughout the shared spaces. There’s a huge pool at Alta Fillmore that’s just begging to be the home of your next pool party. With three gas barbecue grills, a spa, cabanas and tons of seating options, the community pool will no doubt be the coolest place to spend the summer months. Oh, and there’s also a giant pink flamingo floaty. At the heart of an urban lifestyle is convenience, and Alta Fillmore decided to make grabbing a morning coffee or an evening beer or bite super convenient for residents and neighbors. 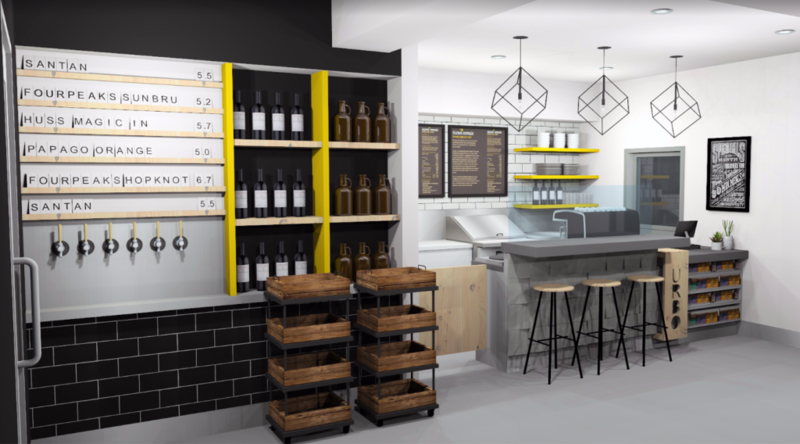 The latest project of DeSoto Central Market owner Shawn Connelly, Alta Fillmore’s coffee shop and bodega will be called Urbo and feature patio seating on Fillmore Street. It’s slated to open in December. Alta Fillmore’s rooftop lounge deserves its own mention. 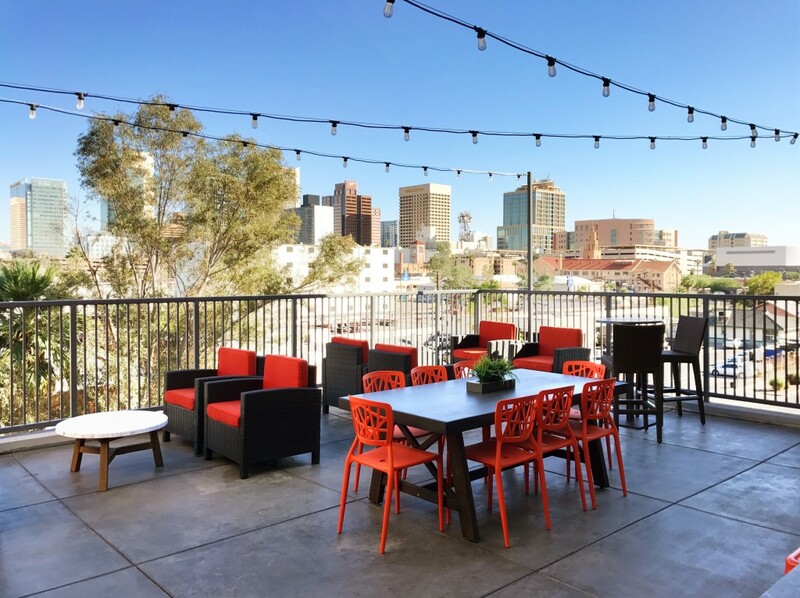 The cozy community space located on the east side of the development features a lovely view of Downtown Phoenix, as well as tables and seating, a gas grill, kitchen area and — most important of all — twinkly hanging lights. For more information on Alta Fillmore or to schedule a tour, visit www.altafillmore.com.